Ten years ago I sold my content business, image100, to Corbis, a company then owned by Bill Gates. I decided to sell not only because the price was right – we had two major companies interested – but because I believed the market had hit a turning point. All owners try to predict the top of the market and I like to think I got it right within six months, either way. Only one business in our space, sold after us, when there had been a number before. Comparable businesses that did not sell – but had received excellent offers at the time or before our sale – got hammered by not selling. They missed the top of the cycle and, unlike most stock markets, that was the only top of the cycle our specific sector was going have. It was all down hill from there. Much cheaper creative content products, which I realized would change the face of the industry, inevitably led to the devaluation and ultimate demise of those businesses that hadn’t seen change coming and could not compete on price. Even Bill Gates, after years of trying find the right balance for Corbis, recently sold it without finding that elusive sweet spot. Today my business focus is on sports sponsorship and I have a similar sense of a sector which is set in old-established ways and resisting the change which is essential to its future. In many ways it feels like an industry which has reached its nadir. 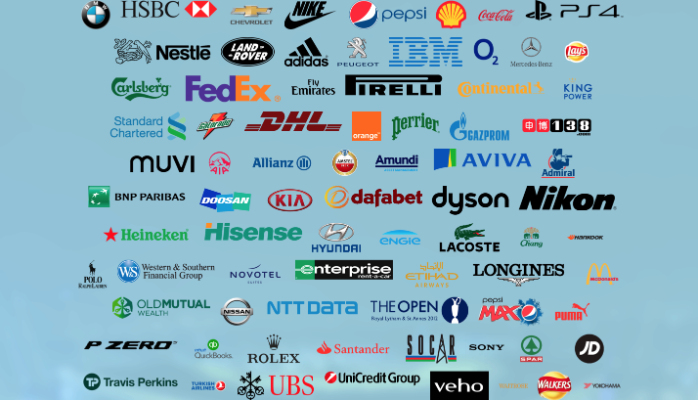 Because of the way brand relationships are structured in sport and the way that sports sponsorship measurement has always been done, there is little or no possibility of developing and implementing deep cultural sponsorship programmes. Highly distilled presentations are still the norm in sports marketing, creating a one-dimensional world shaped by limited data and inadequate intelligence. Even the most effective companies in the space have, until now, shaped their capabilities and deliverables according to that limited intelligence. They are by-passing the socio-cultural details that any marketer should be basing their plans around because they have had no way of accessing and understanding it. That’s because the data they have been using has been sketchy, fallible and out of date. Innovation requires an inherent understanding of culture but sponsors in sport are being guided by a lack of context, and simplistic insights straight out of PowerPoint presentations garnered from market research companies that have anything but an inherent understanding of the space they are researching. These are then being presented by sponsor consultants and insight agencies as future proof plans for brands, rather than what they really are – overused and under researched. Brands demand data which enable rights holders and sponsors to live for today and to understand their customer base now. Trend reports focus on the top level. They produce data which is shared amongst multiple brands and clearly lacks depth. What is important is the data that relates specifically to your product, to your brand, customers and followers. Not that, which is being peddled by research firms as insight, such as “sports fans are cutting the cord”. Sponsors appear be acting as if their customers are stuck in the dark ages, and are driven by staid and simplistic marketing strategies that predate big data. At SnapRapid we analyse visual data that relates to sponsor exposure in visual content: still images; and video. Critically, although valuing TV exposure is part of our 3Play offering – TV, digital and social – our business is built on granular data, which in itself is being driven by the data that the majority of rights holders are lacking; digital and social. Incumbent TV data that is being shared with rights holders, and as a consequence, sponsors, lacks the depth of the digital and, especially, social data we find and analyse for our clients. This in-depth social media analysis gives brands direct access to the marketplace influencers and much more, across the world in a way that TV data that is collected and analyzed cannot do in isolation. TV data alone simply helps ritualize focus group methodology – that which helps grab a few random phrases as part of a summary execution plan. The drivers of sports marketing have been so deeply entrenched in mindshare marketing that it has become the only concept that is understood and therefore the only frame of reference in important discussions at levels where change is possible. The result is a major disconnect in sports sponsorship. While audiences are migrating to digital and social media to follow and enjoy sports, sponsor deals are still being negotiated almost solely on the basis of TV viewing figures. Because rights owners and sponsors have no way of understanding the cultural change that is being brought about by social media, the easiest thing to do has been to leave it to others, to ignore it, or simply pass it off as a fad. But that need no longer be the case. As a rights holder, understanding that you, have had 12m TV viewers in various countries, with – arguably – inflated valuations, is not going be enough for you develop an effective sponsor strategy, is a starting point. Getting to the next level, where rights holders and therefore their sponsors understand their social impact and value and how that works as part of their sponsorship strategy, is key to breaking with the old rigidity that has been a brake on the space. The same old messages that are being circulated by brand intelligence companies in sport, are no longer intelligent. They are outmoded and lack credibility. Without a firm understanding of social media distillation and how that fits culturally, as a partnership, deals will be driven by money alone. On the whole they will have no chance of creating longevity, for which the brand association was formed. This kind of policy, is not only going alienate a rights holders’ core fan bases, it is going lead to a cultural divide, where the followers of a particular sport, team or athlete, will no longer feel part of that cultural balance. Instead they will believe they are being blindly sold to by a corporate structure they had no idea they were part of. By understanding data, rights holders and sponsors can better understand where the right fits are and what will work for now and the future, not the past. To do this, rights holders and sponsors have be open with each other, to understand what each party wants from the relationship, to stop driving deals through inappropriate third-parties that fail to understand this methodology and are only in it for a quick financial fix. Endorsement deals suffer from the same principled misgivings, are largely led by agents and middle-men (I say this, as sadly, they are still mostly, men), who understand culture only in the sense of what it can buy, not the kind their star performers can bring their respective sport. For Nike to continue with its associate with Maria Sharapova, after she was found guilty of doping, can only be a decision driven by internal failings – a monumental shift from their core, “empowerment” messages – and will go a long way to help cement a negative cultural backwards step for Nike, if it is not redressed. From a base where they truly understood fan and participant culture, “Just do it” could easily be transposed into “just cheat”. Rights holders and sponsors need to tread more carefully, to realize that we may have reached a turning point and that this cycle – as the current political cycle in both Europe and USA – may have too. Change is in the air and when that happens, those with something to lose and/or something to gain, react. A decade ago I reacted to change in a different sector by selling one of my businesses and there are clear signs that conditions are such that the same is now happening in sports marketing and media – out with the old, in with the new. The standout for me is the recent sale of Repucom to Nielsen. Of course we don’t know yet whether Repucom have successfully done what image100 did, predicted the best time exit, or Nielsen have picked up a bargain, with plenty of growth potential. You can’t have it both ways, it’s just not how these kinds of deals pan out in the world of business – 83% of M&As fail according to research undertaken by KPMG. Those fabled win-win scenarios are, therefore, few and far between. Given the cycle point of the sector right now, I know where my money is placed.